Thursday, October 17, 2013 The Boys and Girls Club of Broward County will host Hollywood Welcomes the Stars benefiting the Marti Huizenga Boys & Girls Club. The 21st Annual star-studded event will take place from 5:30 pm – 8:30 pm at Sport of Kings Theatre at Gulf Stream Park and will feature a red-carpet, lavish buffet and cocktails, live & silent auctions and an opportunity to meet and mingle with famous celebrities, athletes and personalities. Dell & Schaefer enjoys a longstanding tradition of supporting the Boys & Girls Club of Broward County. For over 150 years, the Boys & Girls Club remains a place where children can feel safe, loved and can develop into successful adults. 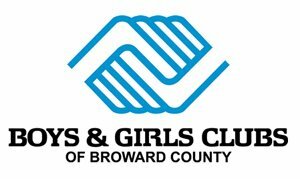 The Boys and Girls Club of Broward County has 13 facilities with a membership of over 13,000 youth, making it one of the largest Boys & Girls Club organizations in the nation. Dell & Schaefer is proud to have the opportunity to help with the development of children that might otherwise have a much diminished chance at a productive life. If you would like to attend The 21st Annual Hollywood Welcomes the Stars, Contact Matt Organ or Colleen O’Dea at 954-537-3324. Email: morgan@bgcbc.org or codea@bgcbc.org for more information.